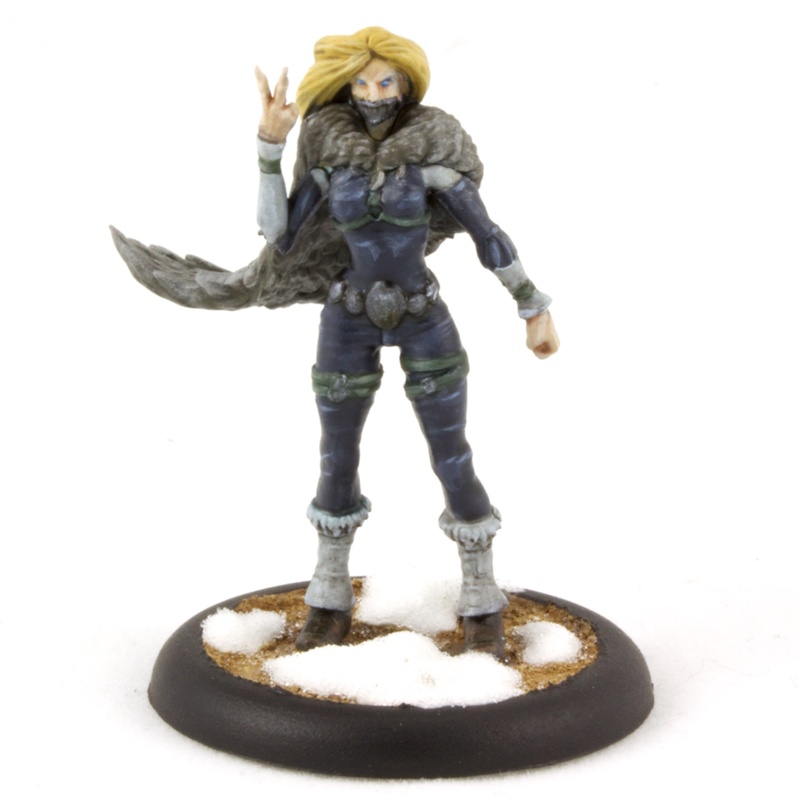 These mini-Rasputinas really bring out the Nordic look I went with for the wintery models. Pale skin, blonde hair. The facemasks look weird, though. I should have also done the noses, like in the concept art. 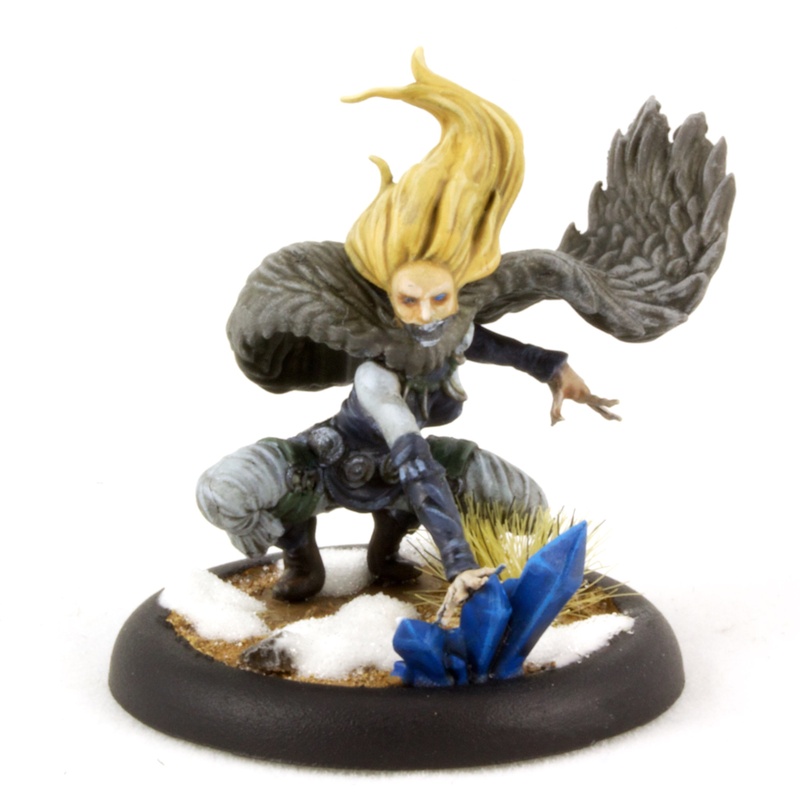 The crystals here match the crystals on the Winter Wonderland Rasputina. I didn’t think they looked very icey, so they got bright blue.